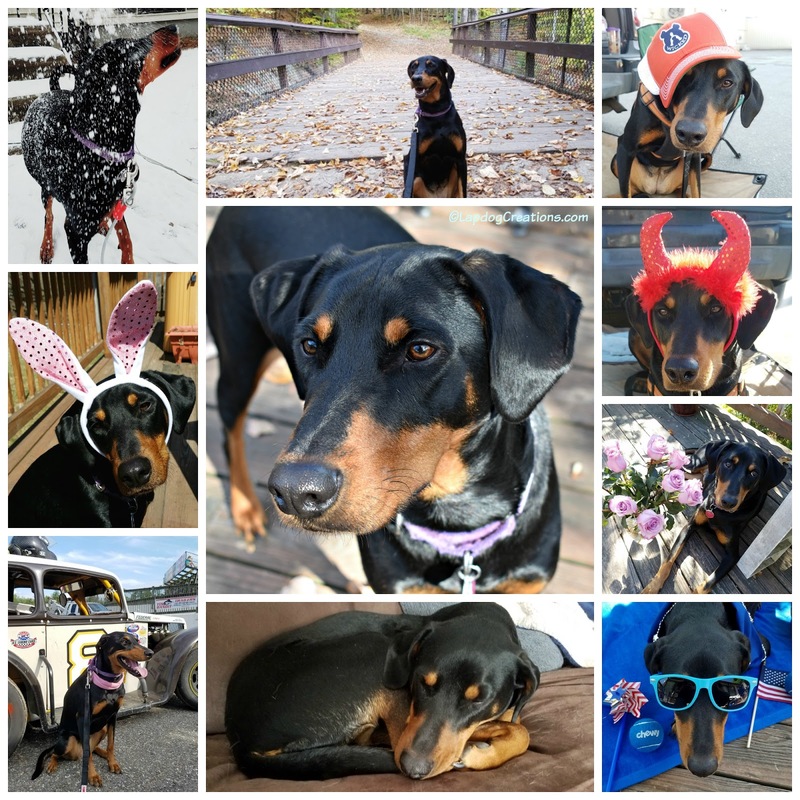 Lapdog Creations: Happy 3rd Birthday, Penny! It's hard to believe, but our little ball of Karma is now 3 years old! At times it seems like just yesterday she was that itty bitty 8.5 pound bundle of energy who landed in our laps (if you don't recall, be sure to click that link)... and at other times, it seems like she's been with us forever. 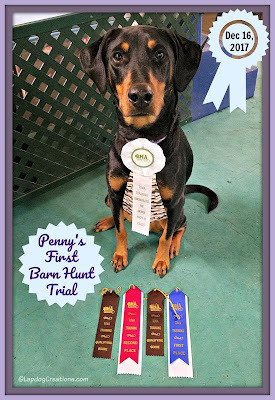 Penny and I jumped headfirst into the world of dog sports over the past year and we love it! She's pushing me to do things I never thought I would, and our scent work and ratting skills continue to grow and improve every day. I think we make a pretty good team, if I do say so myself. I'm always amazed at what she can do, and I love seeing the focus she shows me during trials. We've been videoing our runs and I find it fascinating to watch them and catch everything that's going on that I don't necessarily see while in the moment. I've always had an amazing bond with all of my dogs, but working with her in this manner truly takes that bond to a higher level. We've been doing nosework trails for almost a year now, but just started ratting in November. Much to my surprise, Penny took to it right away and we have had great success in both Barn Hunt and Happy Ratters. It's been another amazing, adventurous, exciting year with the youngest Lapdog. She's taken me out of my own comfort zone, as well as got both of her humans back out hiking (something she absolutely loves!). I look forward to where she continues to take us each and every day. Awww! Happy Birthday! I loved looking through all your pictures! Here is to many more years! What an adorable pup! Happy Birthday Penny and here's to many more! 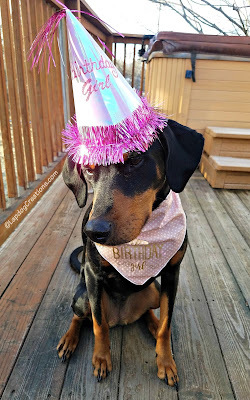 Penny, I really hope you had a very nice birthday! Happy birthday to you and many more do I hope you celebrate! Looks like my kind of fun at a party. I just love dogs! She is a beautiful one too. Happy birthday to your pretty dog! I am glad she was instrumental to you getting back to hiking again. That is good exercise. Penny sure won lots of awards, didn't she? What a smart, loving, pretty dog! Looks like a super fun pup party! Happy birthday to your sweet dog! Happy birthday Penny! Looks like she's loving all the attention she's getting (and deserves). Sending hugs and kisses to your beautiful dog. Happy birthday beautiful lady!! Keep up the good nose work and just be you!! hugs, kisses and treats! Wow, I can't believe it's been three years!! Working as a team with your dog is so rewarding. Fudge helped me achieve lifelong goals with our rally work. Happy birthday little miss. We hope you got lots of treats with sprinkles. Aww Hi Penny! Happy 3rd birthday! What a lovely trip down memory lane. Enjoy! Happy Birthday, Penny! You are quite the birthday princess with your beautiful party hat and purple cake (Lexy's favorite color.) You should be proud of yourself for all of your accomplishments! We're proud to have a friend like you. HAPPY BIRTHDAY PENNY! I hope you're havin' a WONDERFUL day. 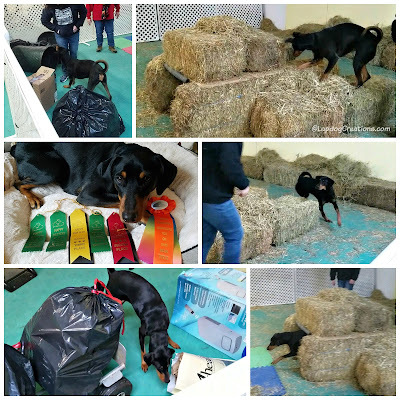 And boy-oh-boy-oh-boy... Just LOOK at all the ribbons you've won! That's an amazin' haul you have there. PURRS. 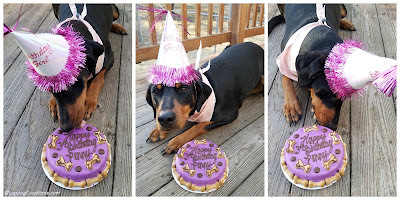 A Very Happy Birthday Sweet Precious Penny! You are so smart, so beautiful and clearly so very loved! Keep up the good work! 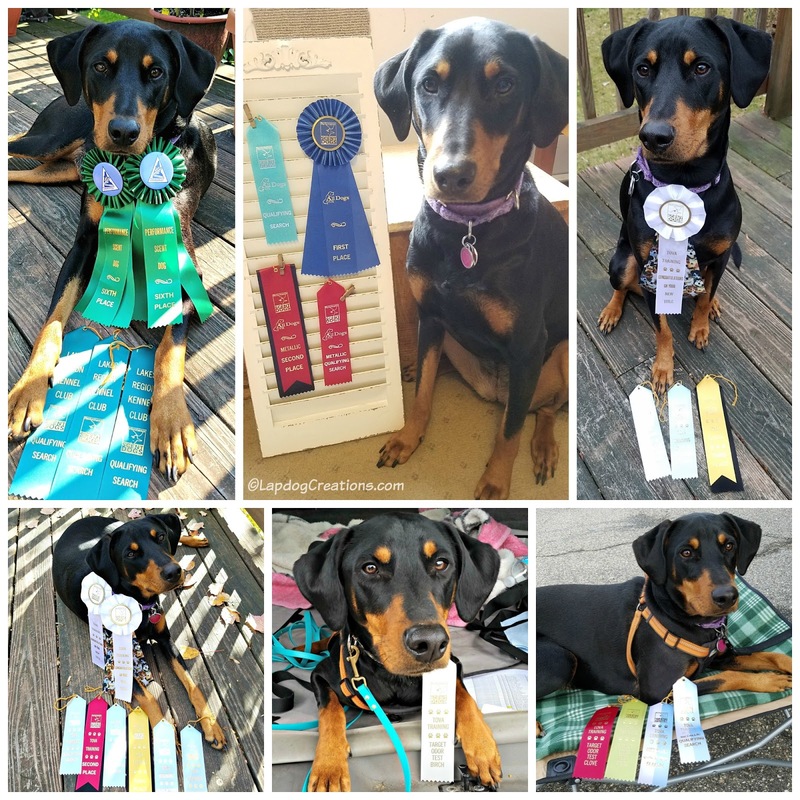 You deserve all the ribbons! Happy Birthday, Penny! You sure are a cutie. Congrats on all of your ribbons too. 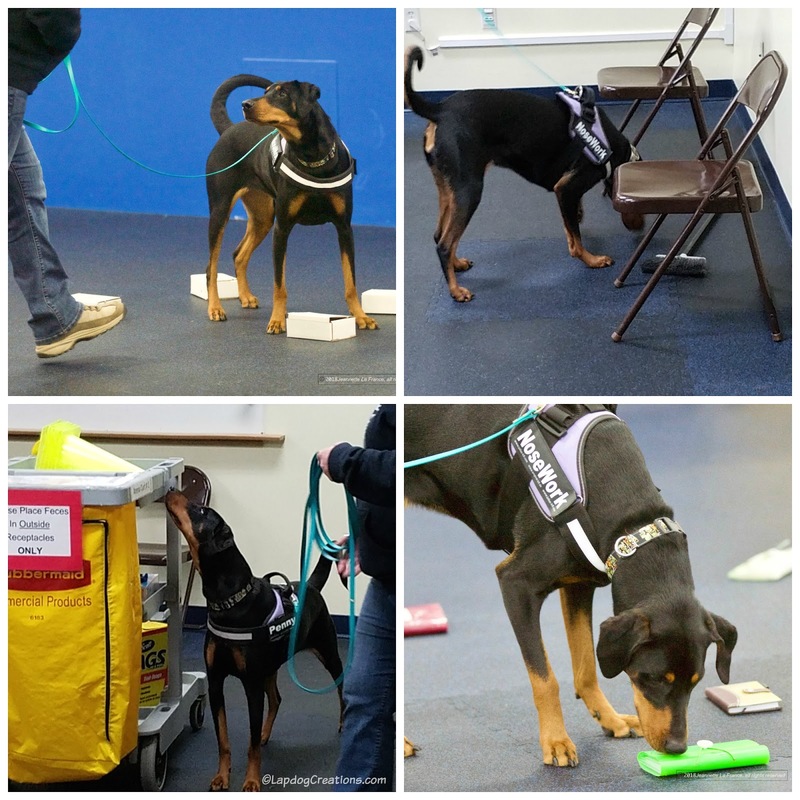 Nosework sounds like so much fun and a great way to bond with your dog. Glad you two have something like that to share together. Anyway, enjoy your special day, sweet girl! Happy 3rd birthday! I don't know why I thought Penny was older. I hope you have a long and happy life together! Happy Birthday Penny! Looks like you've had a great year racking up those ribbons. Here's to another successful and happy year. Happy birthday, Penny! You've accomplished so much! Three is a good age, no longer a crazy puppy and mature enough to be more reliable. Have a great year! Happy Birthday! You are one lucky dog to be able to do all of the things that you do and have fun with your human. Keep up doing new things! Happy Birthday, beautiful girl! That cake looks divine. Jack was three when we rescued him and I think he is settled and confident enough now, to do some agility work. Congrats on all your ribbons! Happy Birthday to Penny! She has made such a positive impact on your lives (and vice versa!) I enjoy following all your adventures. Happy Birthday Penny! Looks like you had a great time celebrating! Love the picture of you in your birthday hat. Happy Birthday. Sometimes Mom finds herself arguing with the calendar where she puts our age on it to make sure she remembers correctly. She is honest about her age but you find her carving years off our ages all the time. Happy Belated Birthday Penny! Keep up the great nose work! 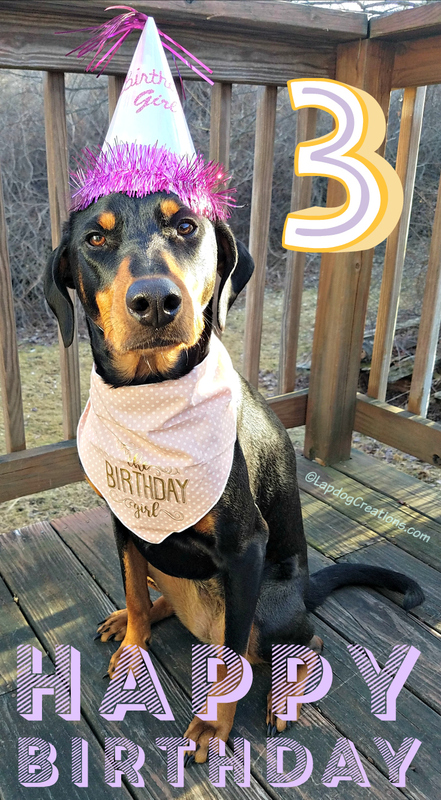 Happy 3rd Birthday Penny! You really have had quite an exciting year with all your sports and competition. I need to get off my rump and look for agility and nosework classes for my dogs, I think it's such a great thing to do with your dog.